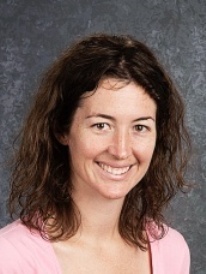 When news of the devastating tornado in Moore, Oklahoma flashed across screens and in newspaper headlines last month, Title I Reading Teacher Kelley Wilson of Cove Creek School saw more than a disaster: she saw an opportunity for students to learn and to help. Wilson seized the opportunity by spearheading efforts to assist schools affected by the tornado. “After watching the news and feeling so helpless, instead of just talking about it, we needed to take action,” said Wilson. “We are called to help those in need.” Thankfully for her colleagues, she thought of a way to help that didn’t require the re-invention of the wheel. Wilson saw that the familiar school practice of “hat day,” in which students pay $1 on a designated Friday for the privilege of wearing a hat in school, was a quick and convenient way to channel student energies toward helping schools in Moore County. Hat days are normally individual school events, but Wilson wanted to go for a bigger impact in responding to the destruction in Oklahoma. After consulting with Superintendent Dr. David Fonseca and receiving his endorsement for the idea, assisting schools in Moore County became an approved “hat day” cause at all eight K-8 schools in the WCS system. The headline result of the WCS hat day on Friday, May 31st was the collection of $3,871.65 for the Moore County Public Schools. Wilson credited the successful fund raising to “a collaborative effort of many amazing people in our school system.” While collecting financial donations was the key ingredient in the response, it didn’t stop there. Students at each school also wrote cards and letters to students in Moore, often including cheery and colorful illustrations alongside their words. The Blowing Rock Police Department chipped in with departmental badges and t-shirts. “It ended up being an effort of the whole county,” Wilson said. The letters students wrote told the students in Moore County included sentiments such as “I am sorry about your school and hope it gets fixed up,” “I am thinking about you,” “I am praying for you,” and “We are keeping you in our hearts.” They also included more direct and practical comments such as “our school is sending you a bunch of money.” On a lighter note, they digressed into background information about Watauga County, including one that let Moore County students know that the writer had two dogs, Gus and Sophie, who were three and ten years old.